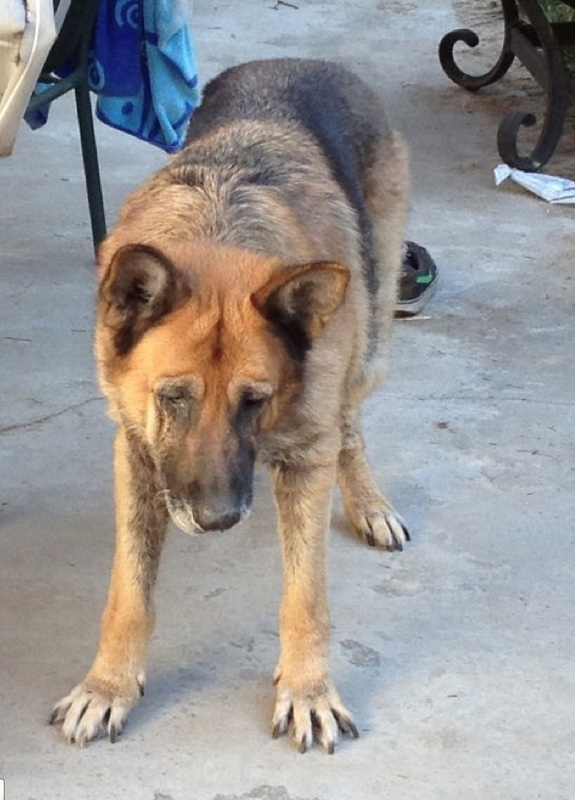 From Westside German Shepherd Rescue: Eight year old Wyatt is another causality of a divorce. Coupled with his age and medical condition and his 100 pounds plus, there were no options for Wyatt. We aren’t finding fosters for the 60 plus dogs we have already in our kennel, so our options were slim to none finding Wyatt a foster home. We even struggle find homes for dogs who are 4 years old. We asked our tried and true friends at the Thulani Project and they said they would take Wyatt and find him a foster home to heal and find him a forever home!! The gentle giant is at our vet getting a head start on his medical treatment before going to Thulani. We would love Wyatt to come with a little trust fund for his care so as not to saddle this incredible organization with more costs. If anyone makes a donation to Thulani please let them know it is for the sweet boy, Wyatt. Yet another favor, we need help transporting Wyatt up to Salinas where the Thulani Project works it’s magic finding homes for elderly dogs no one else wants! Please call Karen 818-612-8149. This entry was posted by ravikravik on September 20, 2013 at 5:14 am, and is filed under Recent News. Follow any responses to this post through RSS 2.0. You can leave a response or trackback from your own site.